If you treat yourself and hop on over to Lenna's Creative Swaps page you'll discover that there are just a few spots left to join this incredible swap!!! Lenna's swaps are always inspiring and well organized. And the results.......? Well, it's always top-drawer art from a faithful following of regulars, plus talented newcomers joining in on the fun. 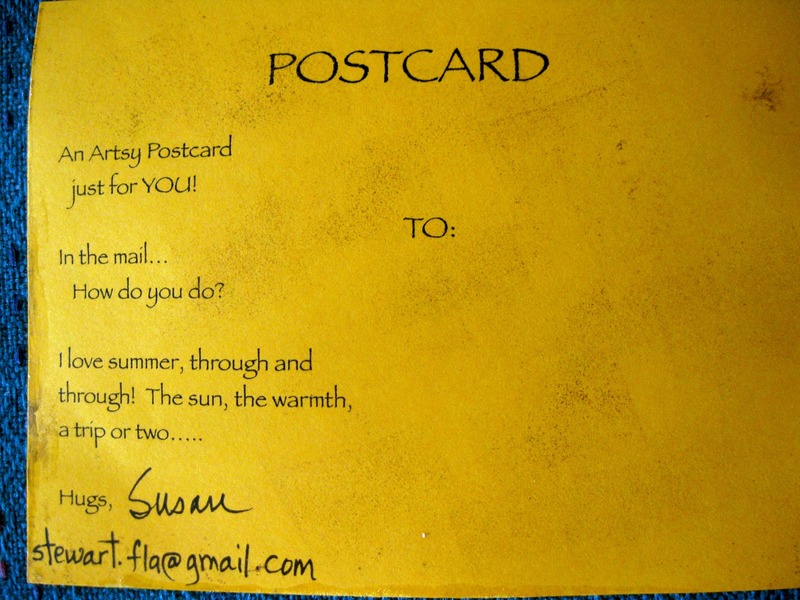 Lenna has several swaps in progress, but I love the postcard size, and maps, and summer, and taking trips..... so it was a no-brainer that I should do postcards. So the art is finished, the photos taken, a bit of blogging done, and when I head out later today will send these off to Lenna to share. 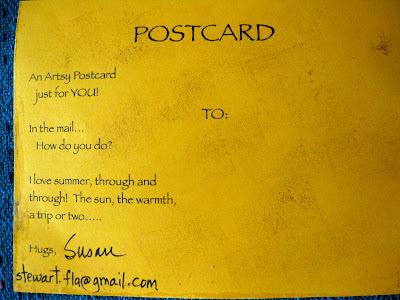 I'll be watching her blog to see what the other participants are doing and start dreaming about which three postcards will be mine when the swap is over. Hi There!!! Great to see you're blogging again! I'd so love a swap!